bsoco: What are your news since our last interview? Maximilian Modl: We just released a new version of our software. Our brand new email marketing software includes a lot of exciting, new features, a complete new interface, a super easy to use drag and drop editor and unique ways of segmenting contacts. We’re particularly proud about one feature, which we think is the first of its kind worldwide: our Payback system. We will actually reward our customer for outstanding email marketing. We’ll measure the success of a campaign against the average of the industry, and for email campaigns with above-average performance, we’ll refund a portion of the campaign’s email credits. We hope this will encourage our customers to lead more responsible campaigns and contribute to better email marketing world wide. bsoco: How do you see the present and the future of emailing marketing? Maximilian Modl: People have been predicting the imminent death of email marketing for years, but it's still alive. Not only did email marketing survive the social media revolution, it turns out to be more effective as a sales tool! The problem now, is that inboxes tend to be overcrowded. People have had enough of un-personalized, bland content. They are waiting for content that adds value, and that they can engage with. In other words: personalized content that speaks to their individual preferences. That's why marketers should send less but better emails. Thus, the future belongs to email marketing automation and personalisation. Its also very important to think about responsive email optimization for wearable tech. We will never say it enough: the future will be responsive! bsoco: What are the most common mistakes in email marketing ? Maximilian Modl: Too often, we see people sending newsletter that are not designed for mobiles devices. More than half of all emails are now opened on smartphones or tablets, so if your emails are not responsive, chances are very high that your messages will end up in the trash. Also, it's a problem to send too many emails. Mass emails are a thing from the past : shift your focus towards sending quality newsletters with interesting content to people who are likely to find it useful. Finally, it's very important to use double opt-in registrations and obtain explicit approval from your recipients before sending them an email. In general, email marketing that takes place within Europe is regulated at the EU level. The EU Directive 2002/58/EC requires that marketers must ask for and receive explicit confirmation from the contact before receiving direct marketing material. And beyond the legal aspect, it's also important to know that „dirty“ contact lists will put you at high risk of ending on a spam blacklist! bsoco: What comes next for Newsletter2Go? Maximilian Modl: Newsletter2Go has been growing really fast over the past few years. After only 4 years, we’ve managed to become one of the leading email marketing software providers in Europe. The numbers speak for themselves: In the last 2 years, Newsletter2Go has grown from 3 to 30 employees and from 4,000 to more than 40,000 customers. Now we want to expand even more! We just moved into a new office. We’ve got two full floors, with more than double as much space as our old offices. Our next biggest challenge, now that we are one of germany's fastest growing tech companies, is to foster our presence in other markets and especially U.K, France and the Netherlands. bsoco: Thank you for your answers. Newsletter2Go provides the best and most intuitive email marketing solution on the market. Newsletter2Go’s software is specifically tailored to online retailers, which is demonstrated by its many integrations for online shops and its unique features such as 1 click product transferral or automatic recipient synchronisation. Easy to use – thanks to an intuitive editor allowing responsive newsletters to be designed in minutes. Secure – due to 256-Bit SSL encryption and Newsletter2Go’s strong commitment to European data protection laws. Powerful: thanks to whitelisted servers and numerous certifications, which mean that Newsletter2Go can offer excellent delivery rates! Once a newsletter is sent, Newsletter2Go’s many tracking and evaluation features provide everything the analytical heart desires, ranging from open rates and click rates to visual geotracking. To summarise, Newsletter2Go shines through with its free e-commerce integrations (Magento, Prestashop, SeoShop, Shopware, Woocommerce, etc. ), its professional features (A/B testing, tracking, marketing automation, etc.) and its top delivery rates! And last but not least: With Newsletter2Go, you can send up to 1,000 emails a month for free! …. > 09/12/2015 - Which Email Clients Do Your Customers Use? 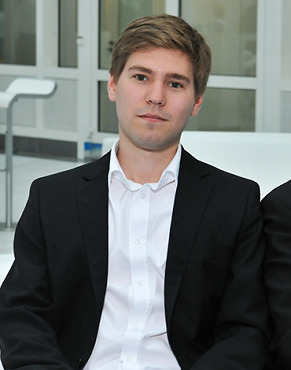 > 11/05/2015 - Interview (emailing): Maximilian Modl, Chief Marketing Officer at Newsletter2Go.